As federal regulators prepare to crack down on payday lending, a new survey shows that borrowers are overwhelmingly satisfied with the service and wary of efforts to more stringently regulate it. Ninety-four percent of borrowers surveyed for the poll agree that payday loans "can be a sensible decision to get needed cash when faced with unexpected expenses." Large majorities also say that such loans can be less expensive than commonly available alternatives, and that "Making it harder to get a payday loan would take away the opportunity for Americans to make financial decisions and take control of their own finances." The poll surveyed the attitudes of 1,000 payday loan borrowers from around the country and contrasted the results with responses from the public at large. It shows that people who actually use payday loans see the services far more favorably than those who don’t. The survey was commissioned by the Consumer Financial Services of America, a trade association representing payday lenders. It was conducted by two polling firms, the Republican-leaning Tarrance Group and the Democratic-leaning Global Strategy Group. Its release comes as the Consumer Financial Protection Bureau considers rules to crack down on payday lending, which the administration alleges imposes excessive interest rates on borrowers and often entails predatory lending practices. Among the measures being considered are rules to restrict the number of payday loans borrowers can take out in a 60-day or yearlong period, and to compel lenders to assess in more detail a borrower’s ability to repay a loan. According to the Tarrance-GSG poll, no more than 35 percent of borrowers support any one of those measures. The survey suggests that payday borrowers are less concerned about problems in the industry than the regulators ostensibly seeking to protect them. Four out of five respondents said current requirements for qualifying for a payday loan "are enough." Just 17 percent said more stringent requirements are needed. CFPB has expressed concern about the annualized interest rates charged for payday loans, which can be as high as 500 percent. But 62 percent percent of borrowers surveyed agreed, "Payday loans are fairly priced for the value they provide, especially when compared to alternatives." Payday loans are frequently used to cover short-term expenses such as bills, mortgage payments, or medical expenses. Alternatives to such loans—including bank overdraft fees and penalties for late bill payments—are often more expensive on an annualized basis. Federal studies have confirmed that fact; a 2008 study by the Federal Deposit Insurance Corporation found that the de facto APR of checking account overdraft fees was between 1,000 percent and 3,500 percent. "Those who use payday loans have limited alternative sources of credit, such as pawn shops, bank overdraft protection, credit card cash advances (where available), and informal lenders," according to George Mason University law professor Todd Zywicki. "Although expensive, payday loans are less expensive than available alternatives." In addition to their comparable expenses, "payday loans are very simple and very transparent loans with a small number of terms, especially when compared to especially complex products such as mortgages or credit cards," Zywicki explained in a 2009 paper. Tarrance-GSG poll respondents overwhelmingly agreed on that point. Ninety-six percent of borrowers said they understood how long it would take to repay their loan, 95 percent said they understood the fees they would pay, 93 percent said the lender "clearly explained" the terms of the loan, and 85 percent said the lender explained what would happen if it weren’t repaid. Nearly three quarters of borrowers said they "received better treatment from [their] payday lender than [they] received from a bank or credit card company." The CFSA said that the survey vindicated its defense of payday lending. "The CFPB has not addressed the reality that its new regulations will restrict access to credit for the millions of households that use payday loans to responsibly manage budgetary shortfalls and unexpected expenses," said Dennis Shaul, the group’s chief executive, in a statement. "It’s clear from this survey research that the CFPB’s misguided effort to regulate payday loans has completely left out the most important voice, the payday loan customer," Shaul said. On virtually every question in the survey, payday borrowers expressed more positive views about the service than the public at large, suggesting that the stigma attached to the service does not reflect the views of those who use it. The survey aligns with other previous measures of consumer opinion. A 2013 poll commissioned by the CFSA found that 95 percent of borrowers clearly understood the terms of their payday loans, and 84 percent said it was easy to repay them. 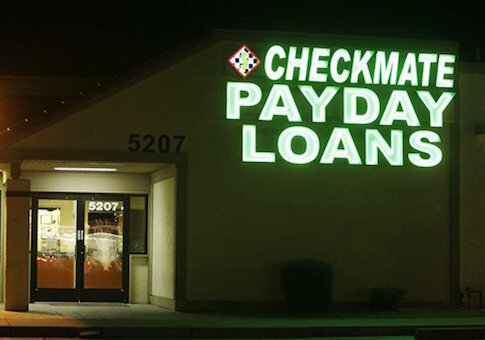 A 2007 survey for the journal Contemporary Economic Policy found "a strong demand for payday loans that satisfy a real financial need within a certain segment of the population."